Whatsapp is very popular these days. If you are using it, then you sure know you can’t install or use 2 Whatsapp accounts in one Android phone. But, you’ll never get an instant messenger like this. Last week, it released its web version for iOs users. Now iPhone users also can send and see messages online by using web.whatsapp.com, which was earlier available for Android, Blackberry, and Windows phone users. In the last recent update, Whatsapp introduced some unique functionalities to enhance the user experience. Now you can set a custom notification for a single user or group. This is not the end; you can also unread a read message, use a different color of emoji in the message while chatting, lower the data usage and many more. WA doesn’t allow the users to send a document through a message, but you can send documents on Whatsapp by using a simple. There are many tricks available for WP, that’s why it is very popular among messaging application. 1 Why Use 2 Whatsapp in One Android? 1.3.3 How to Install 2 Whatsapp on Android? Why Use 2 Whatsapp in One Android? Every company has dual-SIM Android phones, but a user can’t install 2 Whatsapp on same Android phone. If you have a dual-SIM mobile and want to use another number for WP, then you have to uninstall it or can do it by changing the mobile number. But, you can’t use two numbers at a time. That is the reason, why people search to run multiple Whatsapp Account on Android. This is a working method to run dual WhatsApp using Disa app. The best part of this method is, you don’t need root access. Disa is simply a messenger app which we can use to run multiple WhatsApp accounts in one phone. So, let’s move on to the technique of Disa app now. 1) Download and Install Disa app from the Google Play Store. 2) Once, it is installed, open it. 3) Click on + icon and Select WhatsApp to add a new account. 4) Enter your second mobile number in which you want to create another account and Verify it using any call or message verification method. 5) Enjoy dual WhatsApp service by using Disa app now. 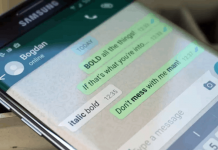 Many of you already have know about GBWhatsapp. It is the modified version of the popular instant messaging app WhatsApp. It is basically a modified version of WA to run 2 WhatsApp in one android phone with a lot of customization options. Well, it is one of the best method to run 2 WhatsApp on android without root. If you are using a phone with double SIM and WhatsApp want to run, then examine out complete information from below. Some of the individuals are already fed up with trying many more techniques. So just try this last technique & use it without any issues. It has all features of Whatsapp plus and OGWhatsapp which means you can enjoy all features of these both two apps. No need for a rooted Android phone. Its modern UI looks good than other mods. Use two different WhatsApp numbers at the same time. 1) First of all, Download GBWhatsapp from the above link. 2) Install it on your phone from the downloaded location. 3) Fire up GBWhatsapp app and Sign Up with your second number on it which you want to use for two Whatsapp accounts. 4) Verify the number and use dual WhatsApp account in your dual sim android phone. 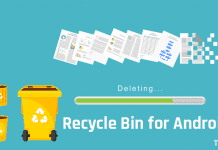 Rooting is the procedure to unlock administrative capability on your phone. To run multiple accounts in one phone, many procedures require root privilege to complete the task. If you have read my earlier article to root a phone or not, then you sure know, root means void of warranty. But, don’t worry, this process doesn’t ask you to root your Android phone. 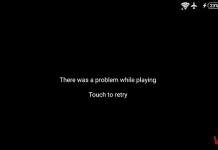 People use OG Whatsapp to run multiple accounts on their phone, but it has some errors like obsolete error. So, in this method you can use 2 accounts without using OGWhatsapp. Hide and Freeze Last seen, Hide typing, Always online, Blue ticks and much more. How to Install 2 Whatsapp on Android? 1) First you need to download WhatsMapp app. 2) After complete the download, install it on your Android phone. 3) Now open the app and enter the 2nd number which you want to use on your same device. 4) A confirmation code will send to your number. Verify the number. 5) Now your phone has 2 Whatsapp installed and you can use the 2 accounts at a time. 6) The extra feature in this app is, you can easily customize its color and privacy, which is not available on default Whatsapp. 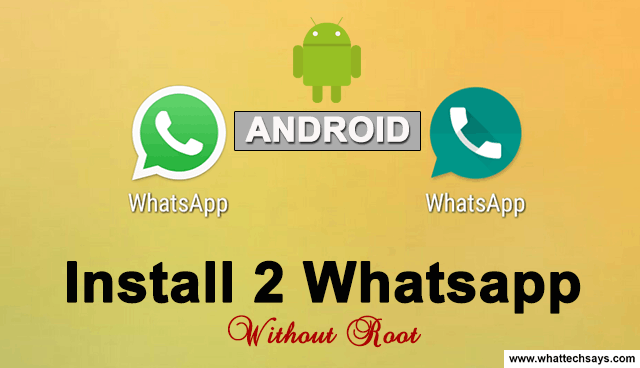 In this way, you can easily install and run 2 Whatsapp accounts on Android without root. I think this procedure is very easy to understand by anyone, but if you have any problem or query regarding this tutorial, then feel free to comment below. This is a simple Whatsapp trick working 100% on Android 5.1.1 without any error. Whatsmapp not working after 15 days. This is asking for updates. Plz help me. Which Android version you are using? After 15 days its not working. Asking for updates.